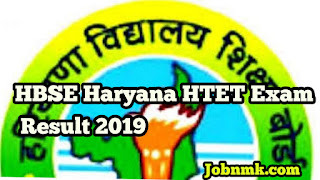 HBSE Haryana TET Result 2019. Haryana Board of School Education has on 22nd march announced the Result of TET Exam 2019. Those Candidates Who had applied for this exam and gave it. These candidates Can check the result by clicking on following given link. Enter your Details properly like Roll number and date of birth etc. Take a printout for your for future reference. We hope you got proper information about Result.